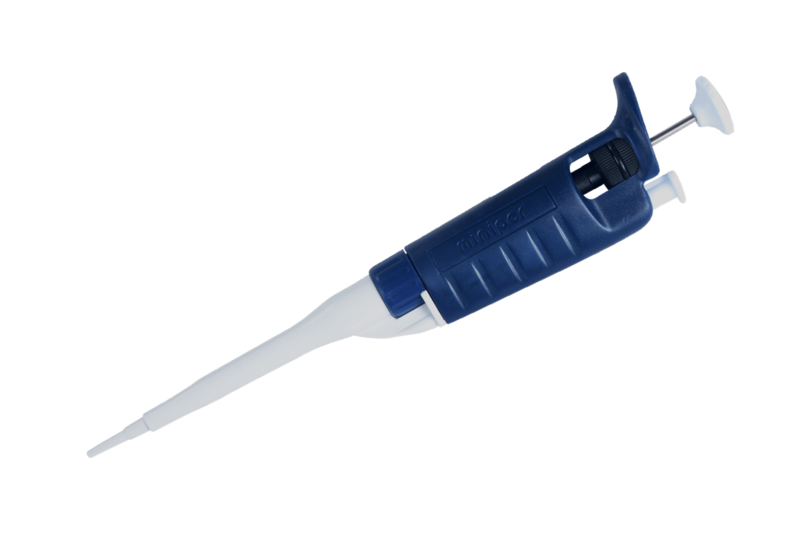 Quite a number of the laboratory exercises that the human female and her staff have to prep and support employ very Precise Scientific Devices known as micro-pipettes. These are capable of measuring out infinitesimal aliquots with great accuracy. That’s the theory anyway. In practice, the students forget to use them with the disposable tips, adjust the volume to ten or twenty times the required amount, and hit the tip discard plunger instead of the uptake/dispense button as often as not. Recently, the Powers That Be have decided that these teaching lab pipettes are a disgrace, a blemish, a true PR nightmare for the Department. An edict was issued that they be replaced, one and all, and one of the professors who is in the progress of overhauling all of the lab lessons ordered one hundred sets, each with three pipettes of varying sizes. Folks, that is a LOT of pipettes. They were quite eagerly awaited. I mean, who, faced with the task of checking the calibration on a whole floor full of pipettes, hasn’t fantasized about chucking them all out the window and starting afresh. Some of them arrived. Some of them didn’t. Unrepentant Package Squashers insisted that the missing TWO PALLETS had been signed for. But signed for where? And by whom? Some diligent phone calling by the ordering professor eventually turned them up. In the Biggish City to the West. Yep, delivered to the wrong university entirely. After some argling and bargling, Unrpentant Package Squashers deigned to pick them up and to deliver them to Central Receiving on this campus. Then it was just a matter of getting them here. The human female suggested that the fine folks at Central Receiving be enlisted to deliver them (as the CR folks have proven themselves prompt and dutiful in the delivery of dead cats, but the ordering professor wished UPS to make good their delivery or refund the shipping fee. The pallets were coming! They didn’t come. A date was fixed! And discarded. They were coming on Friday! No, Monday. No, Tuesday! Finally, an independent moving company was hired to bring them. A company that had– it must be mentioned–just the week before dropped an expensive and fragile instrument off a delivery truck no fewer than three times between Building A and Building B on the campus. Moreover, they propped the mangled package up in hopes that no one would notice the damage. So here we are today, awaiting the two pallets from the movers. The humans are hopeful, if possessed of more than a little trepidation. They know not that I slipped said movers a little tip to deliver the goods in an… amusing condition. I can hardly wait to see in what condition they arrive! Oooo! Here they come! Two pallets, a total of thirty-nine boxes. Most of them look pretty good. Ehehehe! That one’s good and crumply!